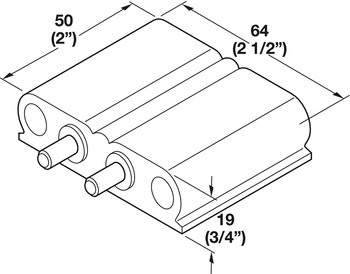 Single blocks are supplied in pairs; L/H and R/H. For appearance sake, they look better if top and bottom magnet align. 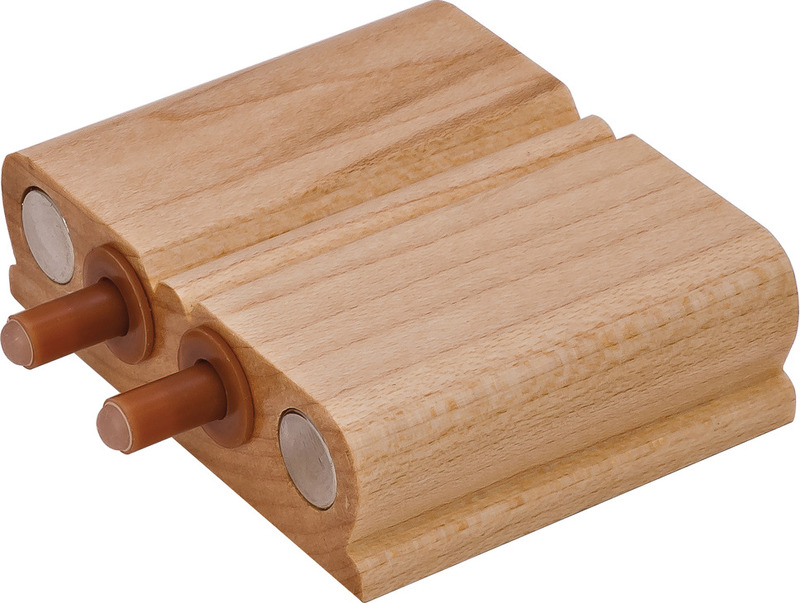 They also tend to work better if magnet is closest to the hinge side. 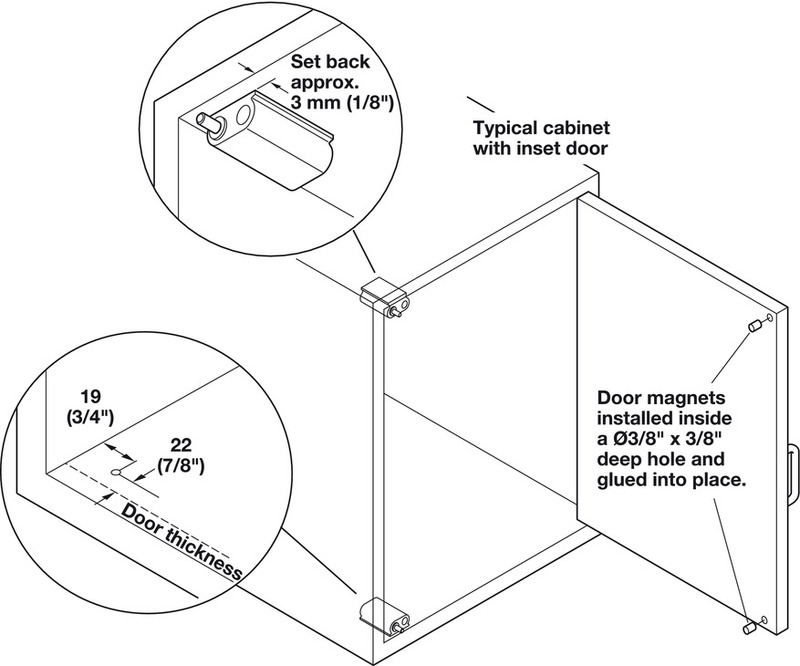 Recommended pilot hole location for keyhole screw: 19 mm (3/4”) from side panel or edge of style on face frame cabinets. Set back from front edge; door thickness + 22 mm (7/8”). For face frame construction, please provide your own shims if cabinet floor is not flush with top of rail. Easy to install keyhole slot in bottom offers approx. 1/2” of front to back adjustment. When proper location is established, install additional 5/8” screw via hole in back.